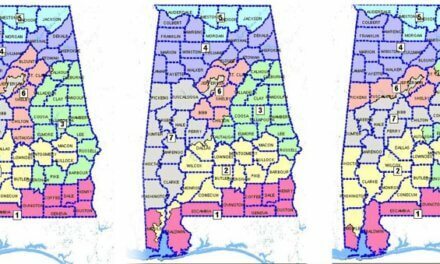 Roughly 300,000 education employees across Alabama felt the effects of an insurance premium hike for the first time last week as changes to the Public Education Employees’ Health Insurance Plan (PEEHIP) went into effect Oct. 1. Approved by PEEHIP’s board in April, changes included a $15 increase to individual plans and a $30 increase to family plans. A monthly surcharge paid by members whose spouses have other insurance options was doubled from $50 to $100. Public Education Employees’ Health Insurance Plan (PEEHIP). For many teachers and paraprofessionals, the timing of the rate increase is frustrating because it comes on the heels of a 4 percent pay raise the state Legislature approved during its 2016 regular session. Chris Hiscox, a science teacher at Davidson High School, said the benefits of PEEHIP have always been a perk of the job in public education. As an individual policyholder, Hiscox said his paycheck hasn’t taken too much of hit but his colleagues’ have. Those higher rates have a measurable effect on Alabama teachers who earn an average salary $36,144, but it’s the support staff, who in some cases earn half of that, who are really seeing a dip in their take-home pay. A 20-year employee of the Mobile County schools, Childress said she’s currently paying back student loans from 2005 she borrowed to earn a degree when the state began a push for “highly qualified” personnel. Now, Childress said her 4 percent cost of living of adjustment is being completely negated by the increase in her insurance premiums. The rates went into effect in most employees’ most recent paycheck, despite a last-ditch effort from the Alabama Education Association to have a judge stop PEEHIP from collecting the new premiums until a lawsuit filed over the rate hike is resolved in court. 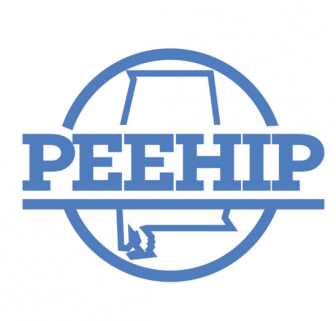 That suit, filed by the AEA in May, alleges the PEEHIP board violated the Alabama Open Meetings Act when information about the new rates and the program’s finances were discussed in a closed meeting hours before the board voted to increase the premiums on April 27. Don Yancey, deputy director of Retirement Systems of Alabama, told Lagniappe holding “working sessions” prior to a public meeting isn’t uncommon for the board — something of which the AEA should be aware, he said. Yancey said he believes AEA’s lawsuit has no legal basis, adding that allegations of an improperly advertised meeting were likely the only way it could challenge the increased premiums. However, that seems to be at odds with accounts from at least some of the PEEHIP board’s own members. 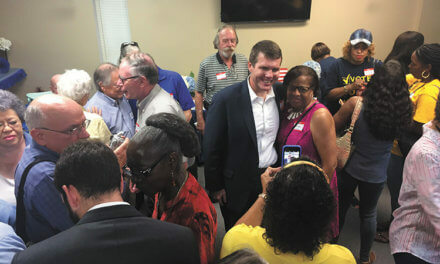 “The Legislature can grant teachers a pay raise whenever it has the money to and deems appropriate, but [neither] the Legislature nor PEEHIP can do anything to address the increasing cost of health care, which is going up at an average rate of 12 percent every year depending on whose numbers you’re looking at,” he added. According to Yancey, some PEEHIP members may qualify for premium assistance that can offer up to a “50 percent savings” for those who meet the federal requirements. A link to an application for that program is available here. As for the lawsuit, the AEA has recently claimed a “half victory,” despite Montgomery County Circuit Judge Johnny Hardwick denying its request to stop the increased premiums from being deducted from employees’ checks. However, in a Sept. 23 hearing Hardwick also said any funds generated from the new premiums “must be retained in a separate, segregated, interest-bearing account” in the event AEA’s lawsuit proves successful. Downplaying the requirement, Yancey said PEEHIP is “fully aware what would be required if the new premiums were invalidated” in court.